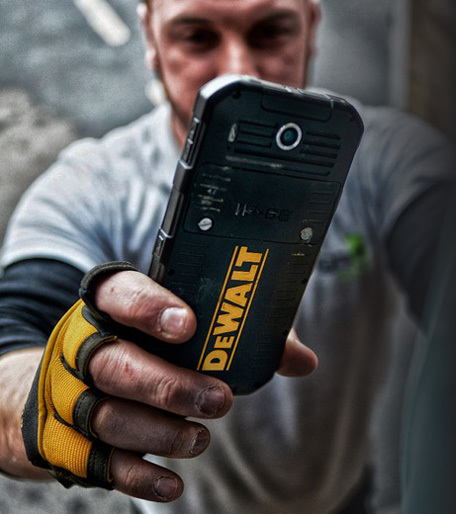 Dewalt, which is known for its tough power tools, has decided it’s time to power the smartphone user who wants to use a phone both for work and for play. 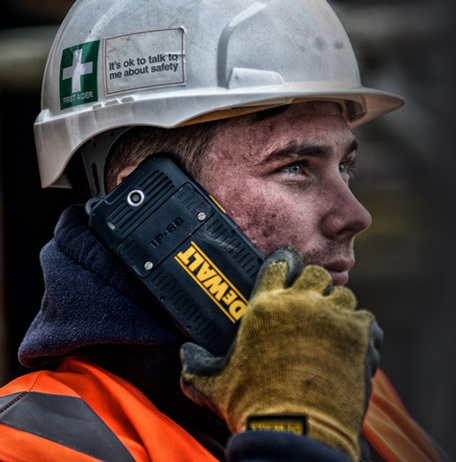 The company has ventured into the smartphone segment and announced that new MD501 will be IP68 certified and is meant for not the ordinary but those within the manufacturing and construction industry. 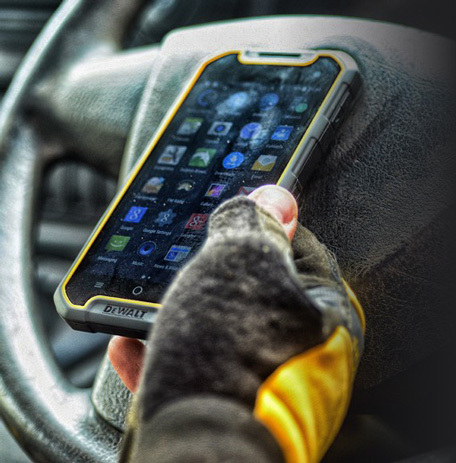 The dual SIM Android device has withstood drop tests from up to two metres on concrete and can be underwater for up to 30 minutes, withstand temperatures from minus 20 degrees centigrade up to 60 degrees C. The device has a 5" " (12.7cm) HD Bright View Gorilla Toughened Glass 3 and can be operated with gloves. It also has a GPS sensor and can be wirelessly charged. Its massive 3950 mAh battery can last for almost two days. 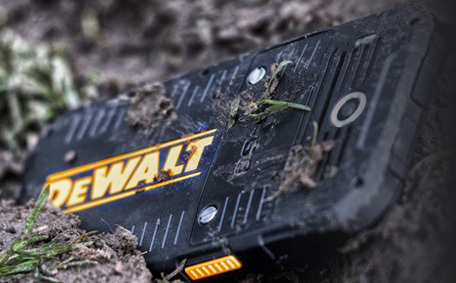 The device is already making waves for combining rugged features with high end specs. The 4G enabled device is powered by a MT6735 1.3 GHz processor, 16 GB internal storage and 2 GB RAM and comes with a 13MP rear camera and 5MP front cam. 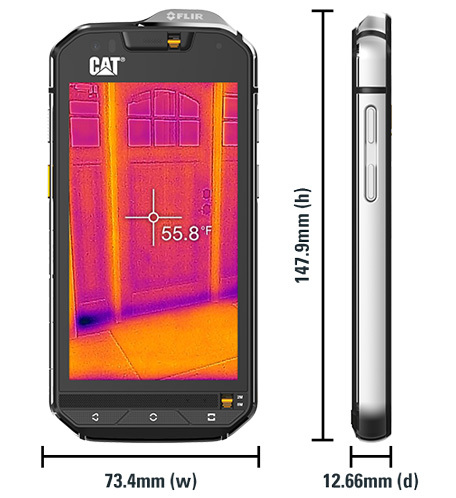 Now compare this with Caterpillar's S60 which when it was announced at the Mobile World Congress in Barcelona became the world's first smartphone with integrated thermal camera. 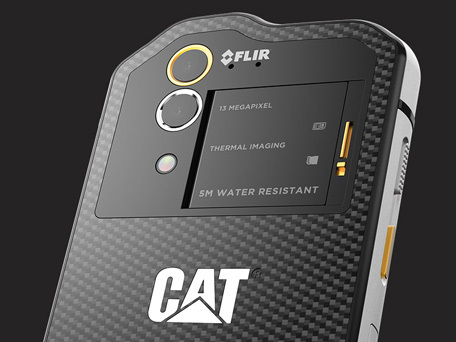 The Cat S60 includes an embedded thermal camera from FLIR, a company that is known for its thermal imaging capabilities. Thermal imaging lets users to detect heat loss around windows and doors; spot moisture and missing insulation; identify over-heating electrical appliances and circuitry; and see in complete darkness. According to the company Cat phone users will be the first in the world to use their smartphones and perform the above mentioned tasks apart from everything else that a high end smartphone allows you to do. 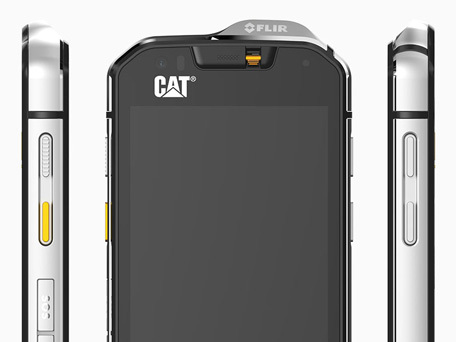 The Cat S60 is also waterproof to depths of up to 5 meters for one hour, allowing it to be used as an underwater camera. In terms of build the Cat S60 the company says exceeds military specs and is built using die cast frame and can withstand drops onto concrete from up to 1.8 meters, and it’s dust proof as well as waterproof. And runs on Android Marshmallow. The 4G LTE device is powered by a 3800mAh battery. Joining the list is the Panasonic ToughPad FZ- F1 and N1 its Windows and Android variants of what it terms is a true all in one device. The 4.7" device has a resolution of 720 pixels by 1280 pixels and is powered by 2.3GHz quad-core Qualcomm Snapdragon 801 processor, 2GB of RAM, 16GB of internal storage 8 MP rear camera and a 5MP front cam. The dual SIM devices are powered by a 3200mAh removable battery. Acording to Panasonic the devices are dirt, drop and water resistant. "It's the choice for unrelenting conditions. 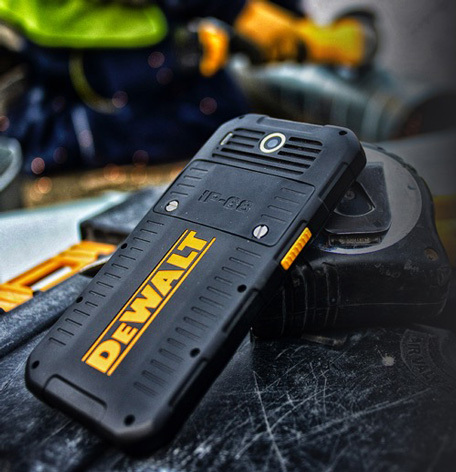 With a quad-core processor, angled rear-facing barcode reader, optional stylus pen and warm-swappable long-lasting battery, you won't miss a beat," it said. But should popular brands that make smartphones for the ordinary, especially the ones like Samsung and Apple, start making such devices? According to a recent study by the US-based Verizon and KRC Research nearly 43 per cent of the people have damaged the device by dropping it in water. Interestingly, Millennials in particular drop their phones twice as many times per week – an average of four – than Gen Xers or Baby Boomers. And parents are more likely to have broken or lost their mobile phone (67 percent) than phone owners without children (38 percent). When asked about the most embarrassing ways phone owners can break their devices, the top responses were: Dropping it in water (43 percent) or sending it through the wash (42 percent); Throwing it (22 percent); Dropping it out of a window (20 percent); Finding a pet chewing it (20 percent) and Tripping and landing on it (20 percent). However, popular everyday brands have been trying hard to ensure that their devices can match the industrial standards and match them for toughness. The recent Gitex Shopper Spring edition saw two new smartphones competing to prove they have the strongest screen. Lenovo was showcasing the Moto Force X and Hisense its King Kong II.